Whether you’re with family and friends for a big celebration or travelling with like minded people who share a hobby, there are plenty of places in Bournemouth that specialise in looking after groups. You’ll find accommodation, attractions and activities all designed to cater for larger numbers. We’ve taken the stress out of your holiday by putting together a range of itineraries catering for specific tastes and interests. You’ll find recommendations for art lovers, families with kids, fitness gurus and more. If you are looking for a quick getaway or long weekend, we’ve come up with some ideas to help you find the perfect place to stay and plan what you see and do while you’re in Bournemouth. There’s so much to do in Bournemouth that it can be hard to see the wood for the trees! So, we’ve put together some top 5 lists so that you’ve got our most popular attractions at your fingertips. We’ve got sand, sea and even palm trees on the promenade. So, Bournemouth is the perfect location for a dream wedding and it’s still close enough to home that friends and family can be part of your big day. We’ve put together some ideas for the best venues and accommodation options to give you food for thought. Bournemouth’s vibrant, cosmopolitan feel has made it a much loved destination among the LGBT community. There are lots of popular and lively nightclubs and cafés around the town – we’ve picked out our highlights to help you save time searching. With a world class seafront and plenty of unique attractions and activities around the resort, Bournemouth attracts students from around the world. We want you to enjoy every second, both in and out of the classroom, so we’ve put together some ideas aimed at those learning in the town. Our impressive and vast coastline has often been compared to California and it’s this international feel on UK shores that has made Bournemouth a popular filming location. We’ve listed some of our most famous film and TV appearances. Bournemouth’s fresh appeal and coastal lifestyle attracts a huge variety of people of all ages and from all walks of life. Some of our most interesting residents have told us what they most like about living here. From classic authors to modern day entertainers, Bournemouth has links with some of the UK’s most prolific names. We’ve researched our favourites to give you a brush with stardom during your stay! We’re keen to show off everything that Bournemouth has to offer so we’re always giving away chances for you to enjoy our world class destination without dipping into your own pockets. You can find out more on our competitions page. Bournemouth is constantly changing and evolving. From brand spanking new hotels to unique seaside experiences that rival any international resort, there’s always something going on and you can find out more about it in our blog. Our contributors include residents, holidaymakers and guest writers to give you a flavour of life on the South Coast. A fun parody of the Visit California ads.....Bournemouth vs. California, see Harry Redknapp, Deborah Stevenson and Alex James from Blur big up Bournemouth! With an abundance of restaurants and eateries across Bournemouth, there’s a huge variety of tasty dishes and cuisines to choose from. We’ll be talking to the best food connoisseurs Bournemouth has to offer to get an insight into the life of a chef and to put our cooking skills to the test with flavoursome recipes! If you’re in need of some inspiration then look no further as we have a cracking range of activities, events and entertainment happening all over the resort that will get your Easter break off to an egg-cellent start. 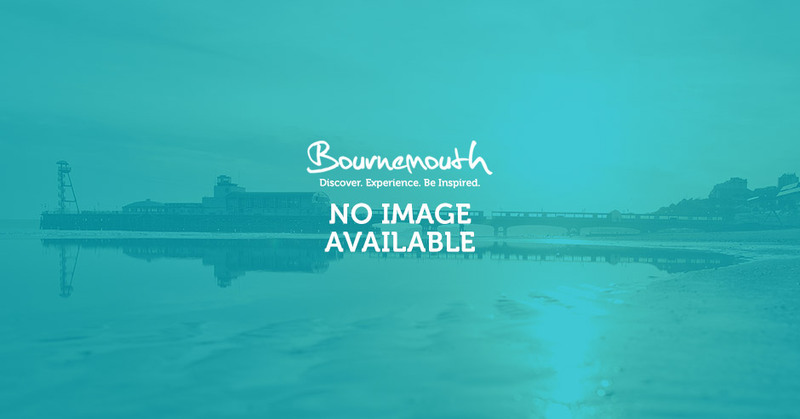 Whether your kids have boundless energy for outdoor adventures or an insatiable thirst for knowledge, there are ideas for things to see and do in and around Bournemouth.